Career Symposium at MBKU: Career Planning, Networking, Food and Fun! The Southern California College of Optometry is one of the health care programs within Marshall B. Ketchum University (MBKU). MBKU’s Student Achievement Center has a mission: to provide services to help every MBKU student become a caring, inspired healthcare professional through academic and personal growth. In addition to basic support services, the Center facilitates various events throughout the school year with MBKU’s Career Symposium being such an event. Our goal at MBKU is to help our students be successful in every aspect of their professional lives. 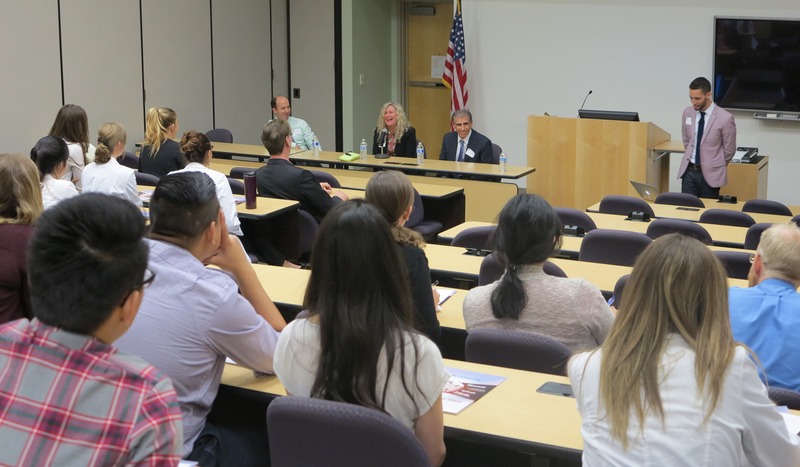 This event hosted a panel of professionals helping students with advice about various aspects of optometric practice, both business and professional. It provided networking opportunities. The program also featured a business etiquette session where students learned convention about how to conduct themselves in business/social settings. Matthew Geller O.D., was the featured speaker for this event. You may know him as founder and CEO of OptometryStudents.com, a site frequented by pre-optometry students. In addition to a clinical background in pediatric vision care and ocular disease management, Dr. Geller has a vast knowledge of millennial generation healthcare consumers, brand development, online publishing, and disruptive technology. He is also the founder and CEO of NewGradOptometry.com and CovalentCareers.com. Dr. Geller has a thorough understanding of how to use technology to streamline and enhance user experience, including applying social media strategies to enhance a practice’s marketing efforts to grow. And he was here for our students! Dr. Geller speaking with optometry students. After the event concluded, I ran into Dr. Carmen Barnhardt, Assistant VP of Student Affairs. She was the person responsible for designing and facilitating the event as well as being the impetus behind MBKU’s Student Achievement Center. With a smile and a look on her face of a job well-done, she told me how great the event’s program turned out and how well it was received by our students. Our Office of Student Affairs has a heart to help students be successful not only here in the program, but as can be seen, after they leave us as well. Read this article about the Student Achievement Center on MBKU’s website. MBKU Career Symposium: Career Planning, Networking, Food and Fun! 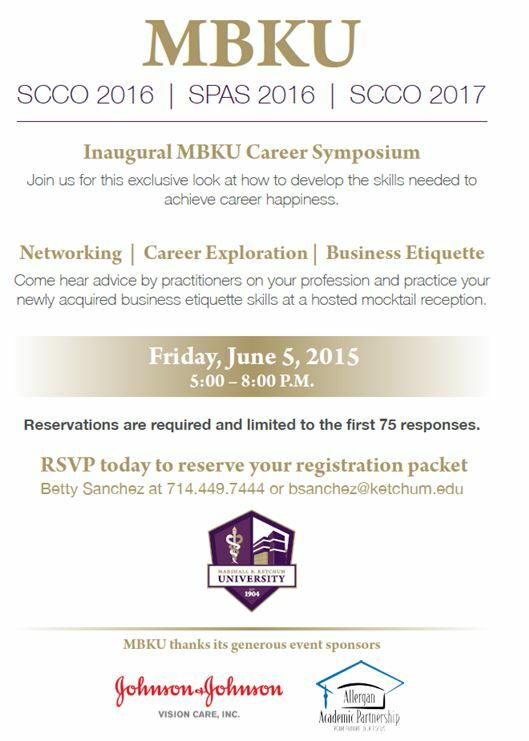 The inaugural MBKU Career Symposium was held on Friday, June 5, 2015, and attended by over 50 students. 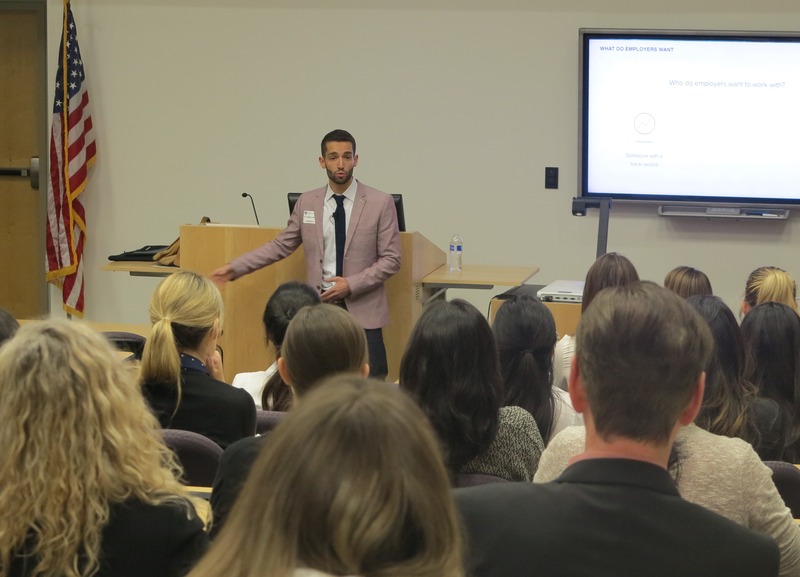 This intimate event featured Dr. Matthew Geller discussing career happiness, networking strategies, and involvement inside as well outside the profession to make connections that will be helpful in landing a dream practice or desired position in the future. 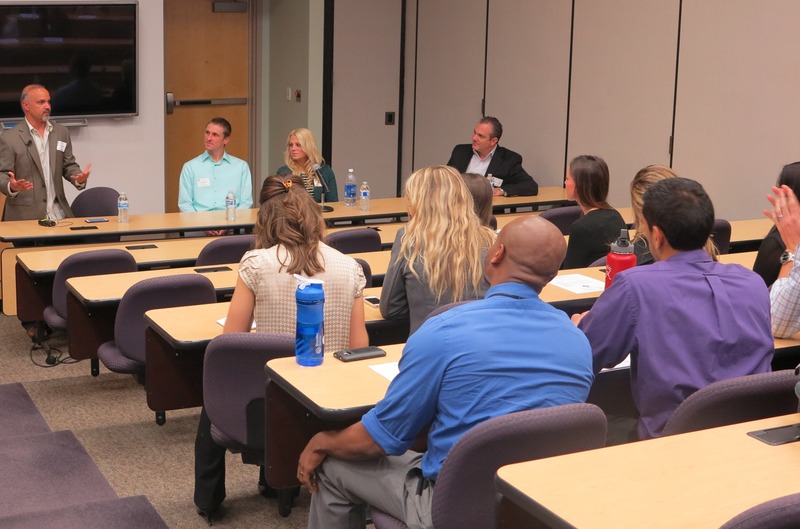 Physician Assistant students listen to a panel discussion from Kevin Robertson, PA-C, Chris Osborn, PA-C, Jamie McCoy, PA-C and Richard Granese, M.D. 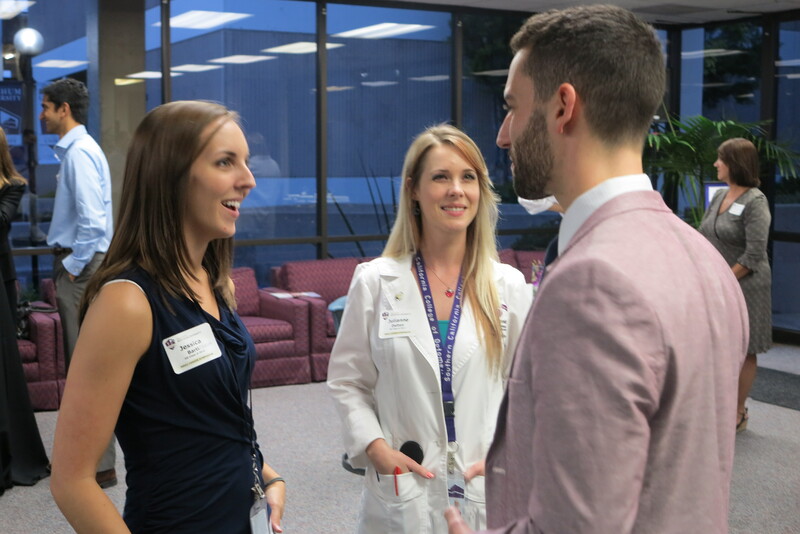 There were panel discussions for each profession which included outside practitioners in each profession to give real world advice and suggestions for interviewing, on-boarding, and successfully transitioning into a practice. This was certainly the highlight of the event. A special thank you to the optometry panel participants: Drs. Miller, Rossi, and Swearingen and the Physician Assistant panel participants: Kevin Robertson PA-C, Chris Osborn PA-C, Jamie McCoy PA-C and Richard Granese, M.D. Drs. Swearingen, Miller and Rossi, all optometrists, conduct a panel discussion. This event was hosted by Student Affairs and Alumni Relations and generously sponsored by Allergan and Johnson and Johnson Vision Care. Please thank our sponsors if you have the opportunity to do so. We hope to make this an annual event and expand the reception to include more outside practitioners and alumni.